Recently, during one of the interviews for his upcoming film Zero, Shah Rukh Khan heaped praises for Allu Arjun. Tollywood superstar Allu Arjun is one of the biggest stars of the South Film Industry who enjoys a huge fan following. The biggest heartthrobs down South, Allu Arjun has been winning hearts of the audience with his charming personality and on-screen performances. Reportedly, the actor might soon spread his talent wings in Bollywood as well. The actor is probably gearing up to make his Bollywood debut soon alongside Ranveer Singh in the film 83. However, there has been no official confirmation regarding the same. 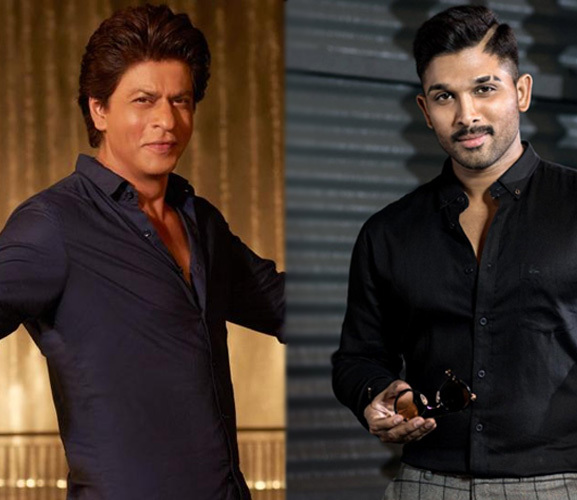 But did you know that Allu Arjun is already the biggest fan of Hindi movies and his favourite star is none other than superstar Shah Rukh Khan? On the other hand, Shah Rukh Khan is also very impressed with Allu Arjun and is hoping to spend some time with him someday. Recently, during one of the interviews for his upcoming film Zero in Hyderabad, SRK was asked to comment on Allu Arjun being his biggest fan. To which, King Khan of Bollywood replied that he would love to spend time with the Tollywood superstar. He also added that how the actor is so sweet, wonderful and talented. SRK was all praises for Allu Arjun. This only makes us want to see these two superstars together on the big screen. What do you think? Let us know in the comments section below.